I loved the first book and I cannot wait for this one. Also... New Adult Dystopian!!!!! 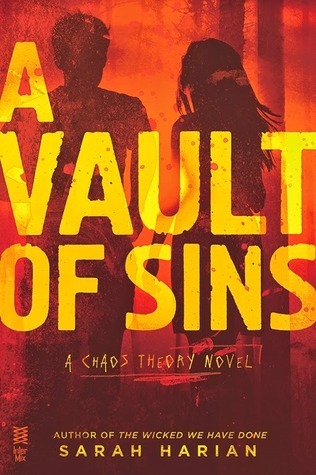 A Vault of Sins will be released on September 16, 2014. This one sounds pretty crazy! I love new adult dystopian and paranormal but they are harder to find since it is mostly all contemporary. Will check out this series. OOh nice pick! Totally new to me but hope you love it! Haven't heard of this one but sounds good and hope that you get a chance to read it soon! Nice pick! And it certainly sounds exciting. Thanks for sharing! WOW!! This sounds so FREAKING good!! Dystopians are always exciting, and this one sure does fit the bill!! I've never heard of this series, but thanks to you, this book and the previous one are going into my Goodreads TBR and Amazon wish list!! Yes! So excited for this one too, loved the first one. I have yet to read NA dystopian. Sounds interesting. I think I have this first one on my tbr. I am SO not up to date with all the new stuff coming out.. *sigh* Sounds good. This book sounds awesome. I have never heard of a dystopian NA book so that should definitely be interesting. Thank you so much for sharing!